Reading about the thoughts and experiences of my other clients will help put your mind at ease that you’ve made the right decision. 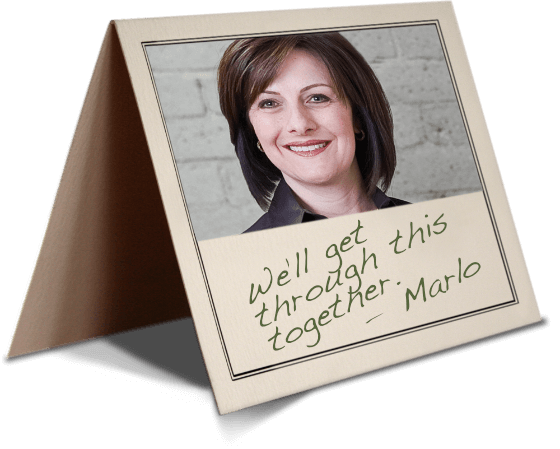 “Confident, caring, knowledgeable & realistic are some of the qualities Marlo & her team deliver. She is actually brilliant. Her sensible reasoning & communication skills put her on top of her game during a time of distress. She is non-judgmental and understanding, yet at the same time strong & brutal. “After a two year legal battle Marlo stuck it through to the end and delivered. She has given me (at my ripe age) a new start at life. Disclaimer The transmission of information by this Website does not create an attorney-client relationship with Van Oorschot Law Group, PC or any of the firm’s attorneys. The relationship would require direct contact between you and the firm through one or more attorneys, and would also require an agreement that confirms that a relationship is established, and the terms of that relationship. The invitation to contact the firm is not a solicitation to provide professional services, and should not be construed as a statement as to the availability of any of Van Oorschot Law Group, PC attorneys to perform legal services in any jurisdiction in which such attorney is not permitted to practice. Nothing on this website may be copied without the express written permission of the Van Oorschot Law Group, PC in advance. The information on this site is not, nor is it intended to be, legal advice.